Influencer Marketing – hype or hope? 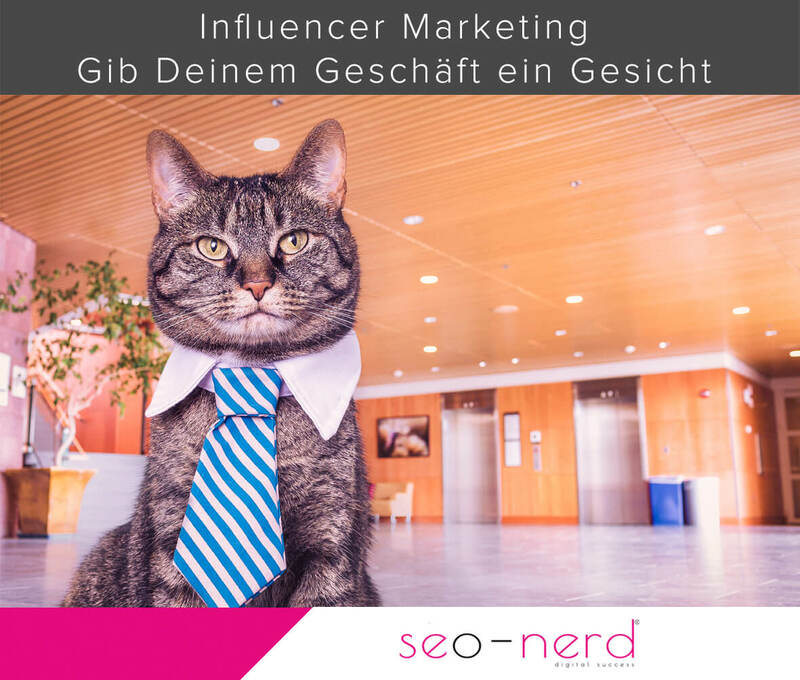 seo-nerd® → Influencer Marketing – hype or hope? Influencer Marketing – What’s that? Influencer marketing employs popular opinion leaders to address exactly the range of customers that should be affected positively. You may now think: „Hey, that’s an old hat. Coffee machine advertising with a distinctive actor here, perfume advertising with a sensually lolling popstar there.“ Attention: In traditional media, this principle is still very successful, but take a step further. Oh, exactly. What’s the point here are the new media. Business experts have recognized the social networks as a good platform to place advertising messages on a profitable basis long ago. Content spreads fast and develops its own dynamic. But this doesn’t work completely without the help of marketing techniques. Customers are usually much more difficult to identify with a company than with a single enthusiastic person. That’s the point were influencers come into play. Influencers are people that are present and well networked in social media and who have a high regard for a certain target group. In influencer marketing, they act as opinion leaders whom followers and subscribers trust. We also find the usual suspects here: actors, musicians, athletes, persons in the public eye. But the media consumption and the influencers have developed. Suddenly, we also see quite different faces with large purview: blogger, YouTuber, Twitterer, Instagram Stars … In their particular networks they act as role models and ambassadors, trendsetters or experts. Through their posts they shape the image of a certain target group, which in turn hang on their every word (or better: their posts). Be it opinions, product recommendations or short statements as well as travel pictures: What my role model has / does / wants, I also want. What role do the new influencers play? The best gear, an influencer has, is impact. Successful influencer marketing is grounded on a foundation of trust between the influencers and their community. Because of their presence in media, stars from movies and television have a huge fanbase. But also in the young stars of the social media carousel, the trust of the community is enormous. They represent role models, but are in the eyes of their follower „rank and file citizens“. This makes them more approachable and authentic, especially when they talk to their followers on Twitter, Facebook or Instagram via comments and mentions. Therefore, the community leaves the making of decisions to their leading figures. If their star finds a product great, the mass audience will buy it, because they trust the star’s opinion and reputation. Accordingly, the role model has not only followers, but fans and is celebrated frenetically by them online. With the right influencer as a super-target, who again attends upon the right target group, companies successfully bring their products to their potential customers. How can good influencer be found for business partnering? Authentic marketing with persuasive opinion leaders from social networks is in – so far, so good. If these opinion leaders are part of the your own clientele as well, even better. But according to which criteria can you choose an influencer that suits your company? After all, you need a target group that is able to make use of your product. If you want to score with you new whitening toothpaste a sneaker community is not very useful – unless you toothpaste also lets sneakers shine. The search for an appropriate influencer starts with yourself. A. Who and where is my target group? To admit, the „where“ sounds a bit weird, but for influencer marketing it’s not enough to know, who is part of your target group. You also have to know in which social networks they are active. Analysis tools help you to define the most widely used social channels of your audience. How old are they? What are their wishes? With whom do they identify themselves? Depending on whether you want to win new customers or to inform existing customers about new developments and products, the seo-nerd will mark out your target group. B. Which influencer fits my offer? The Influencer becomes your brand look while your company is acting in the background. Brand lovers and experts are perfect for this, as they are either enthusiastic fans of your product or assume an expert status, which in turn gives authority. They are the intermediary between your company and your intended target group, which he can address directly. In the best case, your opinion leader shapes your image and is directly tied to your Brand. The seo-nerd addresses influencers, which are in line for your company. 1. Influencer Marketing – What’s that? 3. What role do the new influencers play? 4. How can good influencer be found for business partnering?